All of our UK team are volunteers. BAFA has no paid staff, nor do we pay fundraisers to act for us. We pay to have the books and learning resources shipped to Africa and local community libraries. We pay to have the books and learning resources shipped to Africa. This website has been kindly paid for by a supporter of BAFA and our promotional materials, such as leaflets and banners are paid for out of our funds. The books, computers and other educational resources collected by BAFA are sea-freighted to destinations across Africa in shipping containers. 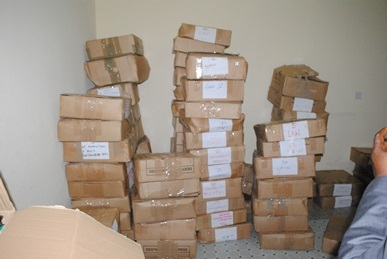 Each container holds approximately 20,000 to 25,000 books and costs between £2,500 and £4,500 to send from the UK. We are always keen to talk to businesses that may be able to financially support the shipping of the books or who may be able to transport the books on our behalf. There are three levels of Shipment sponsorship – you can sponsor each of these with a financial contribution (ranging from £500 to £4,500) or by providing the service. We hire a van to distribute books to local communities as and when they need them. Level 1 Nationwide – You can sponsor the cost of getting the books from a town or city anywhere in the UK to our warehouse in Sunderland. Hiring a Van to collect books can cost between £500 -£1500 depending on the distance from the warehouse. 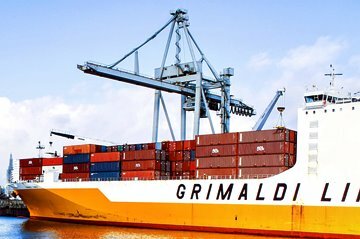 Level 2 Outside of the UK – You can sponsor a shipment from other parts of the world directly to Africa without going through the warehouse in Sunderland. Prices can range from £150 for box of dimensions 50cm x 50cm x 50cm. This is applicable to a limited number of countries in Africa.